When I moved to Lake Tahoe back in 1995, the place immediately stole my heart. My plan of living in Washington in the summer and Tahoe in the winter quickly faded into a two-decade old memory. Lake Tahoe is one of those places that steals many hearts. There are many reasons why we love her. Ask any local and they are quick to have their own personal reason of why this area created in them a lifelong attachment. With that in mind, I asked some of the people who have given their heart and soul to this magical landscape why they love it so much. This is what the lovers of Big Blue had to say. 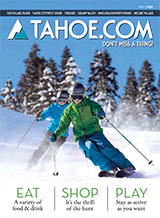 Ask a local what they love to do in Lake Tahoe and you might get a thousand different answers. That is because there are just too many fun things to do around the basin. 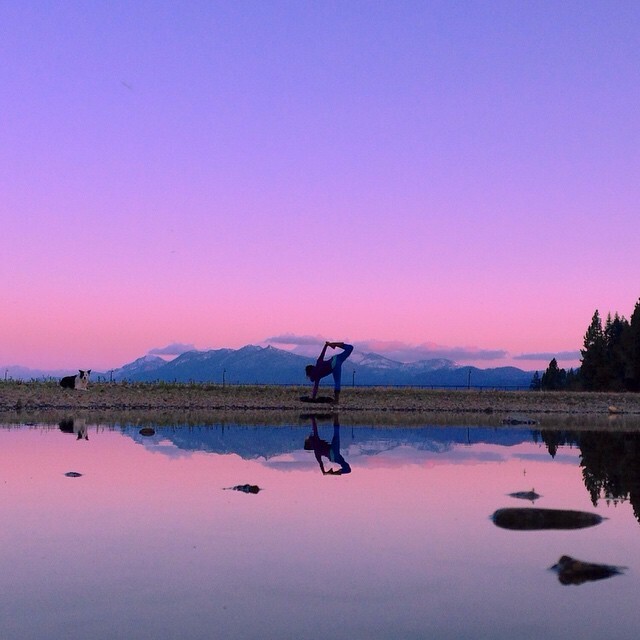 From single-track mountain biking to paddleboarding, from rock climbing to horseback riding, from skiing in the morning to swimming in the afternoon, the outdoor variety is endless. If you ask the locals what originally drew them to Tahoe, the answer might be the mountains, but what kept them there was most likely the stunning beauty of Lake Tahoe. A lake that changes color with the sky, it also has a magical effect of creating a blue in the sky and lake that is not seen elsewhere. The stunning shade is lovingly nicknamed Tahoe Blue and is believed by many to be the brightest blue you will ever see. Lake Tahoe also is one of those clear lakes that offers an opportunity to open your eyes underwater and see that aquatic landscape that surrounds. Or if beholding the watery depths from a gigantic boulder is more your style, the clarity still offers a look into the world below the waves. Of course this clarity extends to the visual candy that encompasses the lake. Because of its varying depths, the lake is blessed with hues reminiscent to the tropics on many of its shorelines. This makes the views that much more mesmerizing. What may make the place forever etched in the special memories of many, though, might be the lake’s partnering with a very special forest. The Tahoe forest is one rich in pine trees, twittering birds, frantic squirrels and big-bellied bears. It is a forest that is lucky enough to have not been touched in a negative way by the hands of time. Many trails and views remain the same as they did a century ago. This is a unique quality that seems to be vanishing in today’s world. As said by longtime local Darja Porcelli, “Lake Tahoe was and is a land of changing of the seasons: snow melting, the blossoming of flowers, plants and trees, the crisp clean of the forest after a nice rain. Summer, swimming in healing waters of Lake Tahoe. Fall, cool crisp air, colorful foliage in the forest, the anticipation of the coming winter. Winter, the peace and quiet of snowflakes dancing in the sky, then that adrenaline rush when your riding down the mountain and enjoying powder in your face!” So well said. This truly is a land of a million treasures. 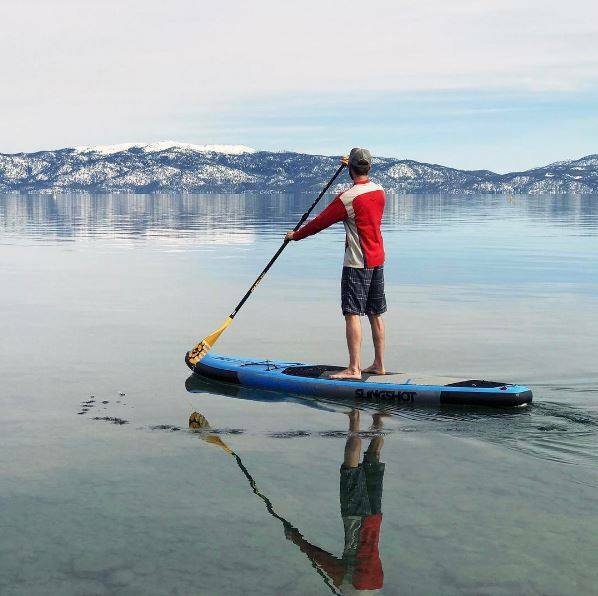 When it comes to the question of a favorite aspect to Lake Tahoe, the same answer is always repeated: It is those who call it home that make the place special. I have to say that I agree. It is the coming together of many different people from many different lands that offers the sparkle that is not always apparent in other communities. Lake Tahoe is a chosen home. It is not necessarily an easy place to live. It is expensive. It is hard to find a job. The ability to find a well-priced home is becoming extinct. But none of that has changed the fact that all of us who call Lake Tahoe home do so because we want to. We are all coming here to live from the heart. This truth shows in the way that we interact (we hug a lot). It’s apparent in the way that we enjoy our mountains (just check out the smiles in the lift lines on a Blue Bird Powder Day). And it is obvious by the huge gatherings that convene at the weddings and funerals for those beloved community members. When it comes down to it, in all of Lake Tahoe’s beauty it is the people that shine the most. 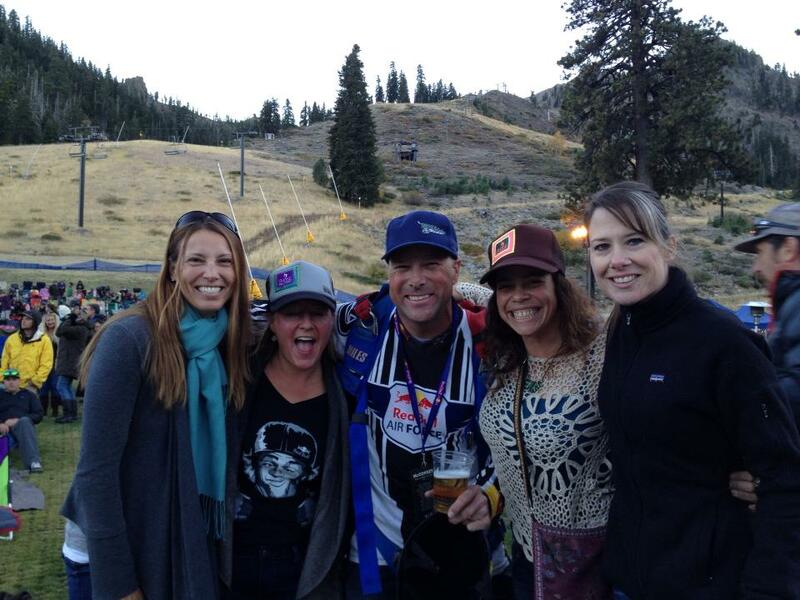 Excited to meet some wonderful Lake Tahoe locals? Be sure to check out our Daytime and Nightlife sections to learn about the incredible events where all the cool kids hang out!